In this time of changes and conflicts that challenge us, we cannot run the risk of following what we read in The Leopard: “We live in a moving reality in which we try to adapt ourselves like the seaweed that bends under the push of the sea”. We need to react. A reaction to which we can give shape considering seven words. Order. Relationships between Europe, the United States, Russia, and China are at a boil…in the search for a new world order that currently seems only a great disorder. More than ever, the disorder also claims a solid international positioning in Italy and an active foreign policy, especially in the Mediterranean, a meeting point for Europe, Africa, and Asia. Perhaps we need to call for a “new Mediterranean order”. Migrations. The migratory flows are a priority of the European Union in the next years because the migrations of today risk being the crowbar to tear Europe apart. The consequences of the shuffling of traditional identities and the disorientation it causes escape no one. We need to face this with discernment. We must never betray the basic values of humanity but put them into practice taking into account the situation in which we work. In concrete terms: it is necessary to work at integration. People. 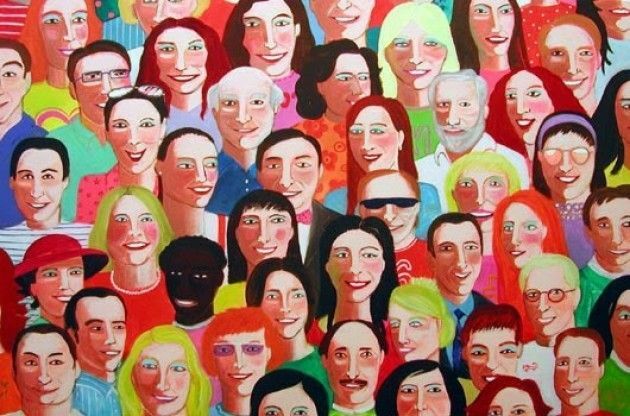 With the populism that we experience today, the strength of a democracy depends on the existence of a relatively homogenous people with a precise and recognizable identity based on ethnic cohesion. But beware, because when the ethnic community puts itself above the person, according to Jacques Maritain, there is no longer any bulwark to political totalitarianism. Anti-liberal traditions constitute ideological bridges for the current alliances between Christianity and aggressive forms of populism. The risk for the Church today is very high: to belong without believing. And this would transform religion into ideology: it would be the death of faith. But we cannot reduce the question of the people to “populism”. The question of the people is a very serious matter. Cardinal Bergoglio wrote in 2010: “A project of a few and for the few, of an enlightened minority or witnesses, who appropriate to themselves a collective sense, won’t work. It is an agreement on living together. It is the express will of wanting to be a people-nation in the here and now”. These words were written by the then primate of Argentina after the election of March 4, 2010, sound as the most urgent warning even for today. It is no longer enough to form the gardens of the elites and discuss the warmth of the “fireplaces” of the Illuminati. It is no longer enough to welcome the beautiful souls … We make reasonable and enlightened speeches, but people are elsewhere. And the great risk is that of imagining the “people” in the form of an “anonymous mass”. The truth is that many people have to do with the populist parties or the fundamentalist sects because they feel left behind. This is why the central question today is that of democracy. Democracy. The contradictory expression of democracies that can die at the hands of democratically elected leaders emerges also in Europe. The gap between the global character of the economy, of communication and, even more so, of finance and the merely local dimension of democracy, which risks becoming almost exclusively administrative management, seems by now unsustainable. Trust in democratic-liberal systems has deteriorated. There even sympathy for a certain democratic improvisation that gives at least the sense of belonging. Is the parliamentary representative democracy destined then to fade away? Absolutely not, but the question of an “immediate democracy”, where we imagine internet can be a place of action and means, seems to have put the parliamentary representative democracy in trouble. There is a problem here, however also a challenge to welcome. We can’t pretend that the internet doesn’t exist and we must acknowledge that consensus is also formed in the digital environment. Uneasiness is expressed above all there. How do we make internet come alive as a form of democratic participation without falling into demagogic shortcuts? Participation. The Pope writes, again from the text of 2010, that we need “to recover the effectiveness of being citizens”. We need to transform ourselves “from inhabitants to citizens”. This is, basically, the true problem for Europe: it has European inhabitants who still don’t feel like European citizens. The “gap between the people and our current forms of democracy” was one of the strong themes of Pope Francis’ discourse at the Third World Meeting of Popular Movements of 2016. The Pope defined them as “a different, dynamic and vital form of social participation in public life” which is not the form of the “political party” and is capable of expressing “attachment to the territory, daily reality, neighborhood, locale, to the organization of community work”. Without participation, democracy atrophies, becomes a formality, because it leaves people out of the construction of their destiny. Work. Let’s think about our young people. The NEET (not in education, employment or training) are about 20% of Italian youth. Two-thirds of today’s students will do, as adults, jobs that currently do not even exist. Today we are struck with a new uneasiness: technological unemployment caused by the fact that we discover new ways to economize on work at a higher pace than that by which we discover new ways to employ labor. There seems to be an anthropological difference by now between the man of Davos and the forgotten man, between an élite of creative innovators and a mass of mere implementors. We need those “three T’s” that Francis talks about not as a slogan: Tierra Techo Trabajo (Land, Roof, Work). Land, home and work are the fundamental things that give dignity to human life, make family possible, and allow integral human development. To react, then, we need, before all else, to reconnect with civil society, with the “classes of the people”, rebuilding natural relationships with the people. This is the word: reconnect. In short, we need to go back to being “with the people”. This entry was posted in articolo and tagged democracy, Italy, neet, populism. Bookmark the permalink.